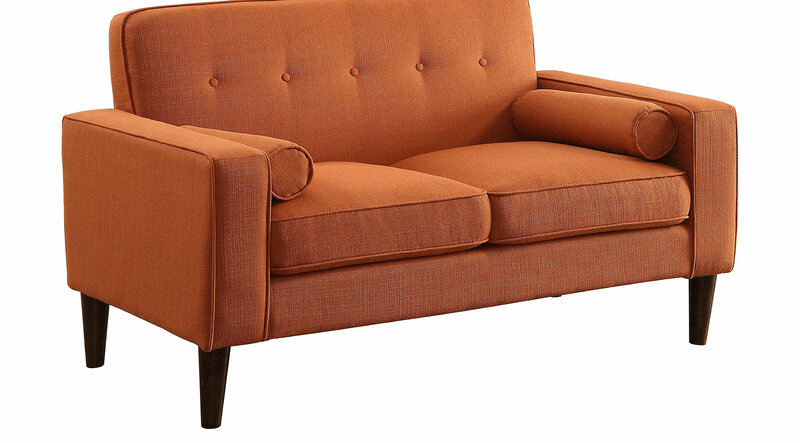 The Carrolwood love seat is designed with classic lines of mid-century modern styling. Straight back seating, and welting, button tufting accents lend to a retro-modern look. Two toss bolster pillow completes this modern look. Customer assembly required.